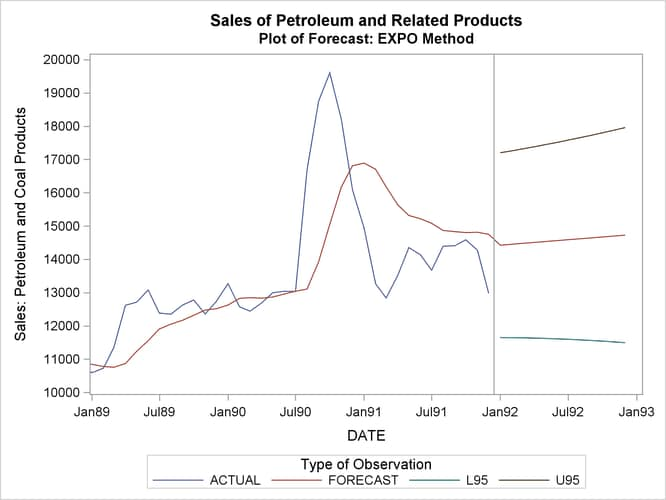 This example uses the double exponential smoothing method to forecast the monthly U. S. sales of petroleum and related products series (PETROL) from the data set SASHELP.USECON. 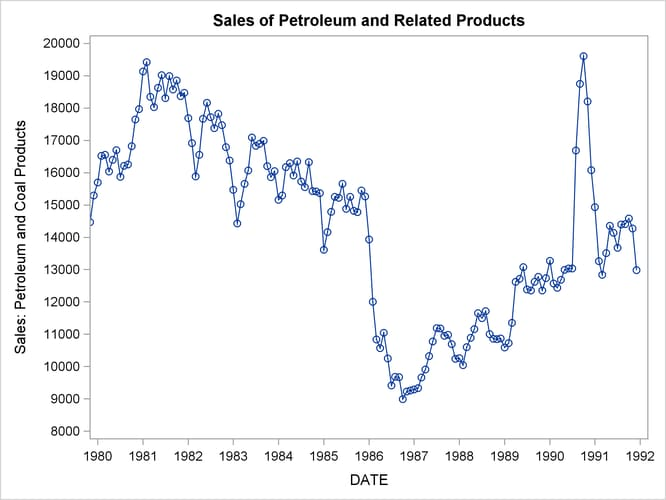 These data are taken from Business Statistics, published by the U.S. Bureau of Economic Analysis. The plot is shown in Output 16.3.1. The PROC PRINT listing of the output data set is shown in Output 16.3.2. The plot of the forecast is shown in Output 16.3.3.